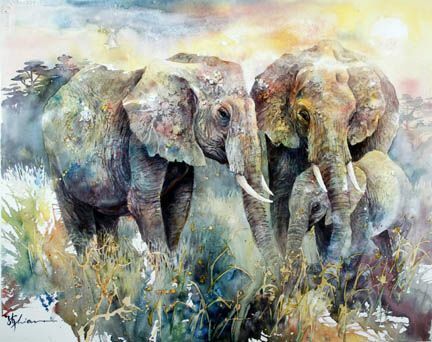 Enjoy the charming, loose, and colorful nature of watercolor at its best, while sketching! Sharpen your observation skills, color awareness, and learn simple design principles. Each day we'll explore various sketching tools, techniques, and papers. 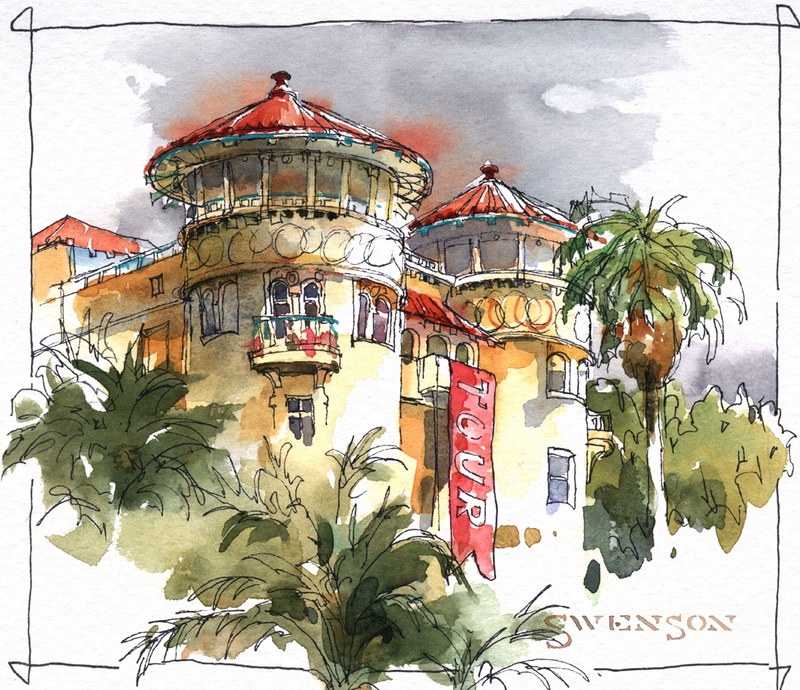 Learn how a sketch can be complete in itself, or a road map to larger studio paintings. 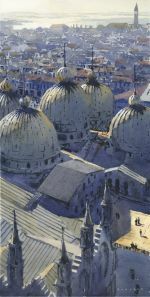 Whether you want to improve your drawing skills, create travel journals, or take that next step as an artist, you will come away from this workshop excited and inspired about your artwork. Students will benefit from informative demonstrations, friendly critiques, and one-on-one help. URGENT! CANCELLED due to illness. We wish Jean a fast and complete recovery. 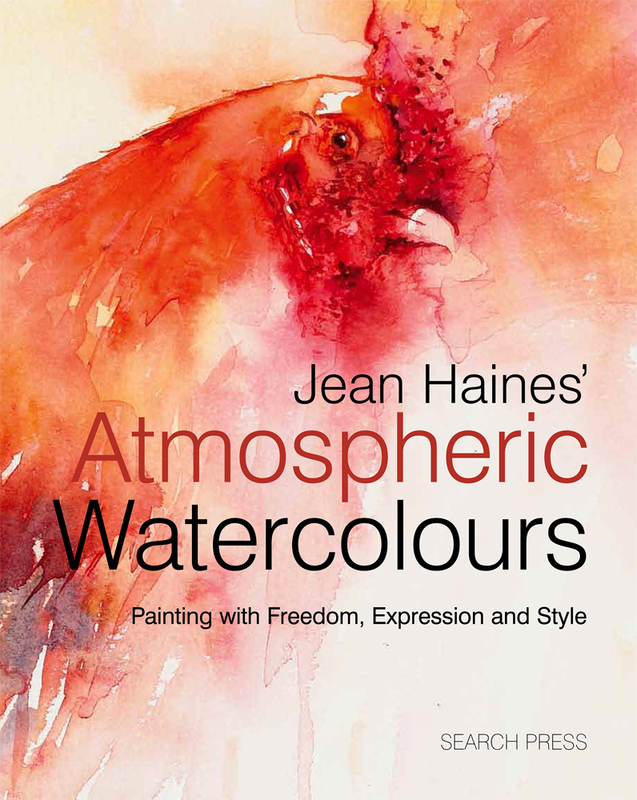 Internationally renowned Watercolor Artist, Jean Haines, offers an exciting workshop that will help us look at how to work in a loose style minus the use of a preliminary sketch. We will paint a variety of subjects in ways that seem to magically bring them to life. Jean will guide us from the first decision of choosing what to paint, to selecting a wide range of techniques, along with dramatic color combinations for adding impact to gain unique results. This workshop will aim at bringing the best out of you as an original artist and have you leaving feeling motivated and inspired. Offering Two Identical Classes! Choose one and click the "Sign up now" button below to register. Important Note: These 2 classes are identical. Please register for one class only unless you want to take the second class to sharpen the skills you learned. 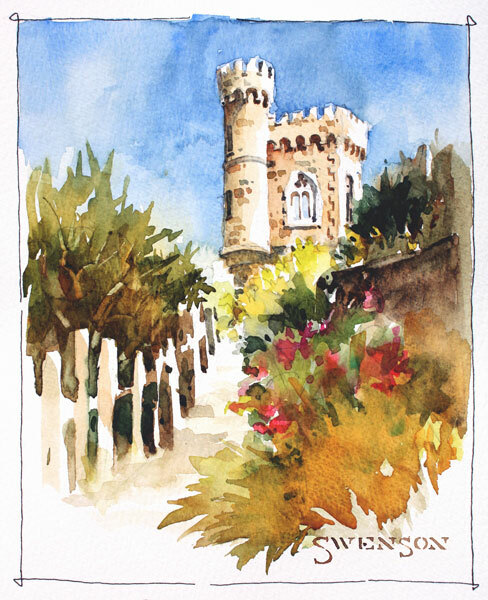 In this workshop, Michael will share information from his latest book, Watercolor Techniques. He will share some of his insights into painting and how to enjoy it. Through demonstrations and hands-on painting, Michael will show ways to simplify and create dynamic compositions, work quickly and decisively, and capture the essence of a scene convincingly. 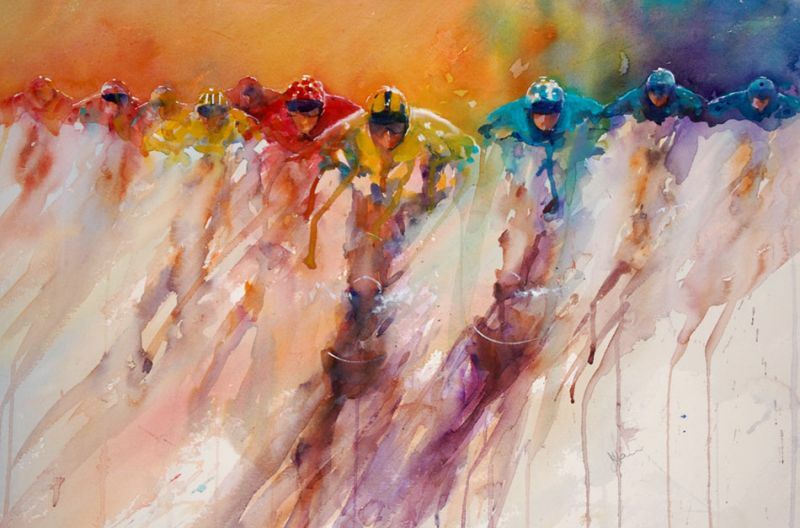 He will cover the use of a limited palette, dynamic color mixing, and the use of light and value to describe form. 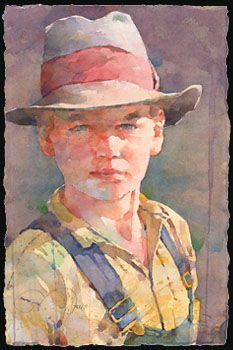 To learn more about Michael, see his website: http://www.reardonwatercolors.com/. Workshop location is east of San Francisco, on the Walnut Creek/Concord border, at Cal State East Bay. Details. 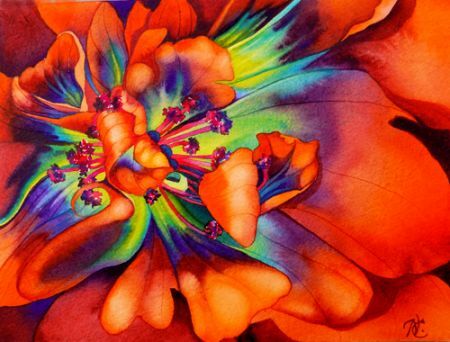 Lian teaches basic techniques such as compositions and coloring, and his unique methods of "Color Pouring and Blending" and "Paint Around (negative painting)." 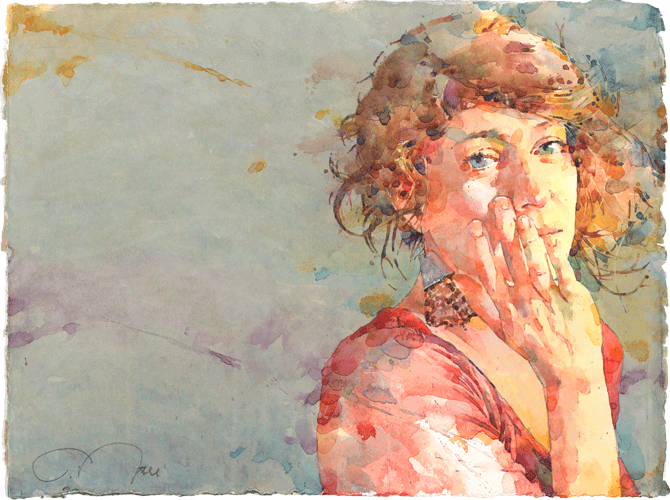 He shows how to mix colors on watercolor papers, as well as letting the pigments paint themselves. Only three primary colors will be used for painting. There are 4-6 short demos each day with student practicing between, so that they can absorb and assimilate the lessons. In critiques, Lian will help students by touching up their paintings. At the end of the workshop, students may be able to finish a couple of paintings, or learn enough techniques to complete them later. 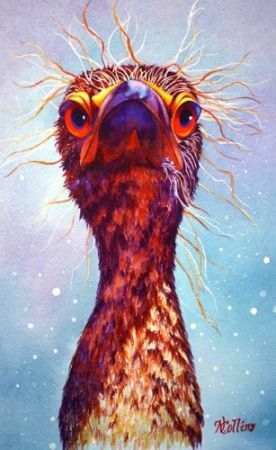 For more information on Lian, visit his website at www.lianspainting.com. 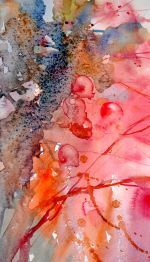 Unlike other mediums, watercolor artists have to pay attention to color combinations so they do not create the dreaded MUD! 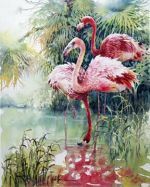 Nancy will help you understand the characteristics of watercolors, and how to make them perform in the manner that suits you. The information that you will obtain by being in this class will open doors to a wider variety of techniques and understanding. There will be a discussion on how many colors it takes to make a color wheel, what are complimentary colors, and how that affect your eyes as well as your paintings. 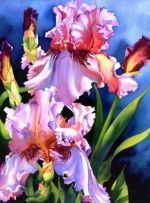 Whatever the subject; landscapes, flowers, portraits, or still life, this class will give you the tools for dynamic paintings. She will address many more subjects and welcomes any questions you may have. 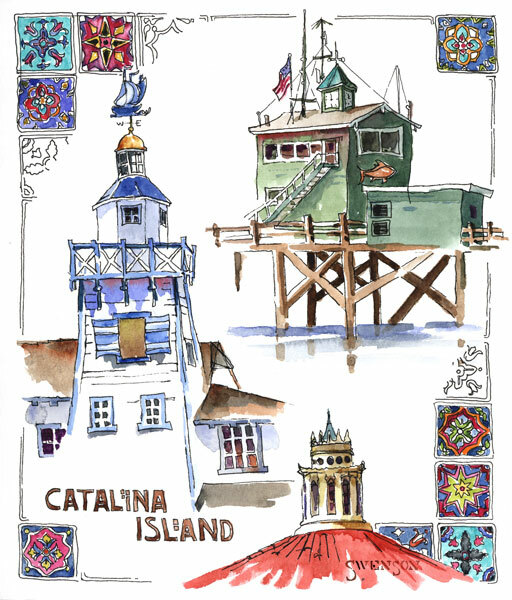 Learn more about Nancy and visit her website at Nancy Collins Art. There are short videos for your viewing. Workshop location: Cal State East Bay, East of San Francisco, on the Walnut Creek/Concord border. Details. 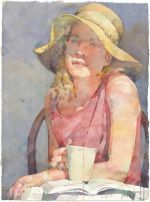 Although painting a person in watercolor may seem daunting, Ted Nuttall believes that it is every bit as approachable as creating a still life or landscape. In his workshop, Ted will demonstrate the techniques, and instill the confidence to enjoy painting people. Ted will discuss the benefits of photographic reference, as well as how to interpret a photo in order to give life and energy to the subject. 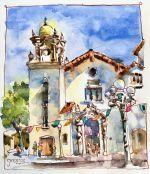 In Ted’s daily demonstrations and presentations, he shares his personal approach to painting, plus he introduces the work of other artists with the objective of inspiring enriched seeing and thinking skills. What’s more, significant time is allowed for one-on-one instruction. In an atmosphere that’s both creative and supportive, Ted encourages, in each participant, a renewed enthusiasm for his or her art–regardless of their skill level. 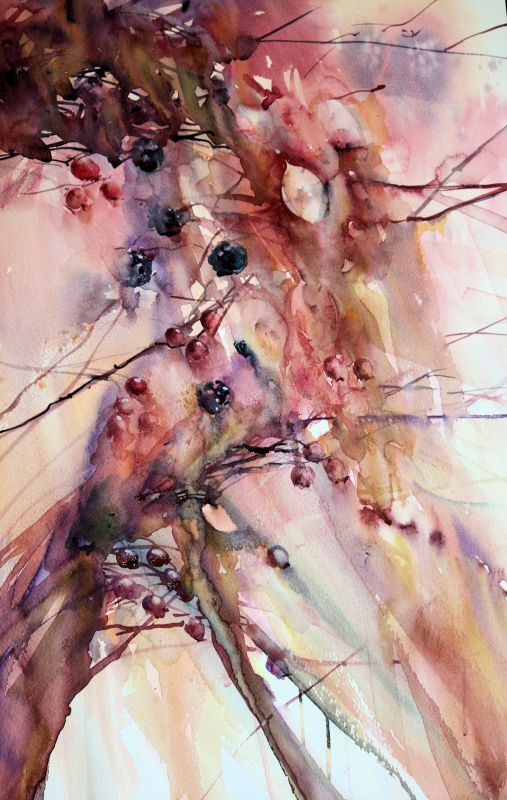 Iain’s workshop will explore the medium of watercolor in a relaxing and creative environment. 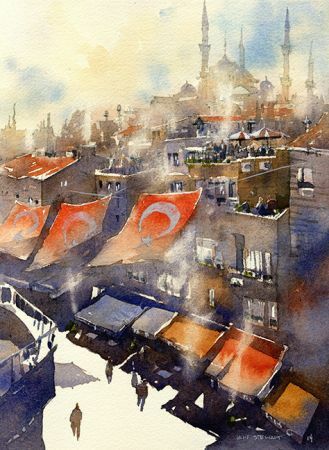 An Award-winning watercolorist, his sole focus will be bringing your creativity to light and aiding you in dispelling the myths of the difficulties of painting in this wonderful medium. Students will follow him in group demonstrations from photographs provided by Iain. More experienced painters are encouraged to work from their own photography. The class setting is very relaxed and accommodating to all with a broad mix of experience and skill levels represented. Most importantly, Iain allows as much time as possible for one on one instruction and critique. After all, a workshop should focus on the student and not how well the instructor can paint. In the end, it's about you and your experience and whether it will help you to continue on your artistic journey. Workshop location: East of San Francisco, on the Walnut Creek/Concord border, at Cal State East Bay. Details. WORKSHOP CANCELLED. We apologize for any inconvenience.